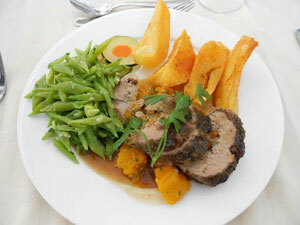 Dinner is available at the hotel five evenings a week - usually Saturday, Monday, Tuesday, Wednesday and Friday. The price for dinner is €27.50 for 3 courses and coffee. The cost of all meals includes 10% tax. We serve a set menu but with a little advance notice we can provide good vegetarian alternatives. We can also cater for other dietary requirements if advised ahead. In the warmer months dinner is served outside on the candlelit terrace. 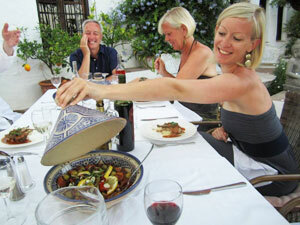 At Finca el Cerrillo dinner is relaxed with guests choosing whether they wish to dine alone or join others. The menu has been designed around fresh, locally available ingredients but presented with a new approach reflecting contemporary influences. A choice of reasonably priced wines (from €12 per bottle) spirits and liqueurs are available in the Honesty bar. Locally made bread and conserves. A buffet lunch of fresh salads, cold meats and cheeses is available at the hotel for €11. A packed lunch (€8) is available for guests who want to go walking or picnicking. We can also loan cool boxes and beach umbrellas for a day out at the coast. 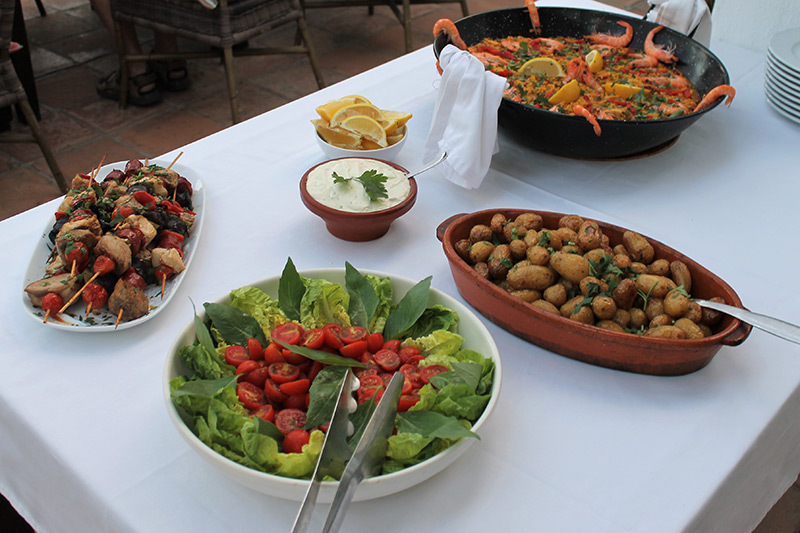 On the evenings that we do not serve dinner guests can drive (or take a taxi) into Canillas de Albaida (5 minutes) or Competa (10 minutes). 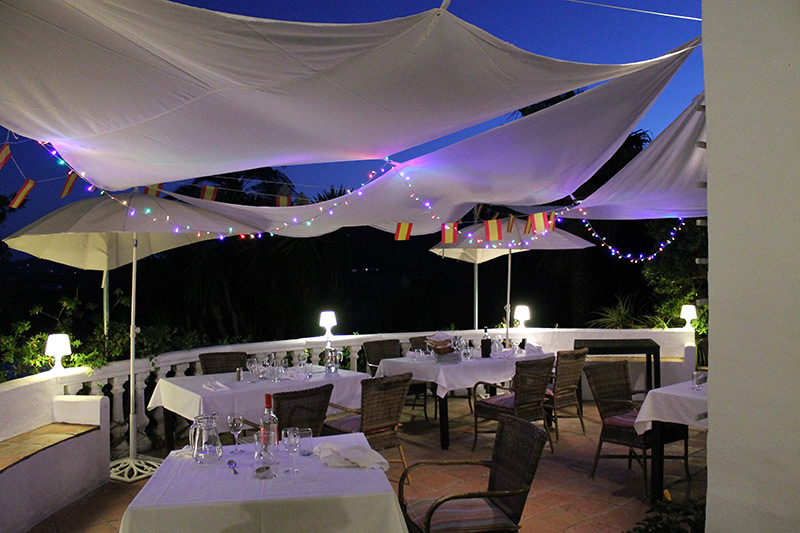 Canillas de Albaida is our local village and there are three good restaurants and a number of bars to choose from. 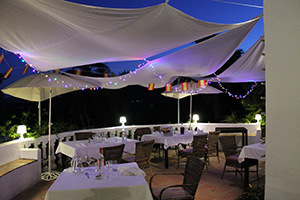 Competa is a cosmopolitan village offering both local specialties such as tapas as well as international dining options. 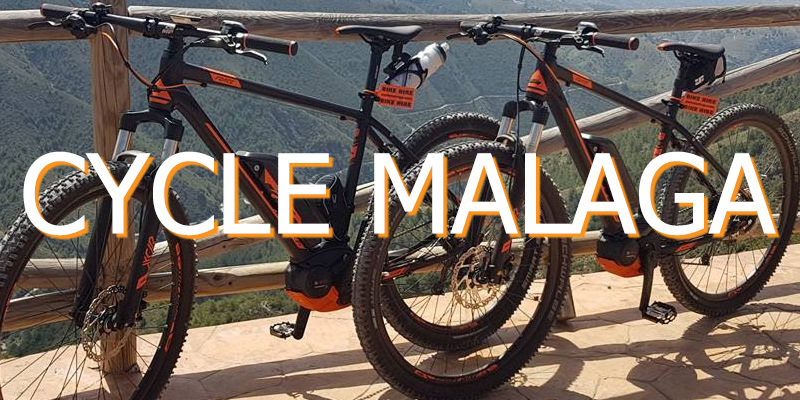 We will be happy to make reservations for you in local restaurants and book taxis if required.